There is a magic quality that certain people have which makes them immediately likable. They've got a few secrets up their sleeves that separate them from ordinary people. They've got the "Midas touch." In their professional and personal life, this Midas touch can see them outperform their peers. They know how to get what they want and create relationships that last.  One of these magic qualities is their ability to communicate effectively with people. They know instinctively how to deal with people, what makes them tick, and how to build successful, lasting relationships. And when they communicate, they recognize the mysterious power of names. I was rather shy growing up. I never used someone’s name when I was talking to them, but when I got to college I realized that a lot of people did. It was always the really confident folks. There was this one guy named Chris who always used my name when we were chatting. It made me feel comfortable, at the center of his attention and important, even though I barely knew him. Everything was “Hey, Claudia” this, and “you can do it, Claudia”. My name was cropping up so much I felt like a celebrity! Me? I was still too shy to drop name bombs in conversations. I preferred not to. As I got older and entered the big wide world of work, I began to realize just how important it is to drop names in out conversations with people. It’s a very powerful thing. Did you ever read fantasy books when you were a child? In this type of fiction, if you unveil someone’s real name, you then have the ultimate power over them. Although this is pure fantasy, the example is instructive because all stories, no matter how fantastical, are based on fundamental human truths. The truth to take from this example is that a person’s name has a lot of power. Think back to when you were a child and your teacher scolded you by using your full name. I remember one time when it happened to me after I’d just broken my teacher’s paper cutter. In the assembly room a few minutes later, I saw her mouthing Miss Claudia Cox (guess she threw in that “Miss” for good measure), her face apoplectic with rage. I literally shrank in fear! Think also of your parents and how they’d get your attention when you were a child. They’d use your full name! It somehow had a startling effect on us and made us listen! Your brain is wired in such a way as to stand to attention when your name is mentioned. We turn toward the speaker and give them our ears. This is about US. All of these are key to engaging someone if you want to win their favor, either on a professional or a personal level. Salespeople use this technique all the time. They make sure to get your name as soon as possible, and then they use it throughout the conversation as they try to seal the deal. It makes you feel important, and in many ways, it nurtures your ego. You’re no longer any other person to them – you’re very much YOU! And that, is the power of names. In her book 92 Little Tricks for Big Success in Relationships, Leil Lowndes talks about the art of communication and how it’s crucial to success. It’s packed with lots of sophisticated techniques, and one of them is that we should always use someone’s name in conversation – even if we’re just texting them. Why? Because the power of names is incredible! Using their names arrests their attention and lets them know we’re talking to THEM and just them. It gives them a sense of importance and encourages a rapport. This is important both in business and your personal life. These are important points, because the aim is to leave a lasting, positive impression so that by the end of the conversation, the other person feels as though the two of you connected on an emotional level. You will be much closer to creating or keeping the relationship you want. Using someone’s name in a conversation, and using it in a positive manner, engages you with the other person and makes YOU more likable. You are making a connection into their world, and showing them that you care about them. 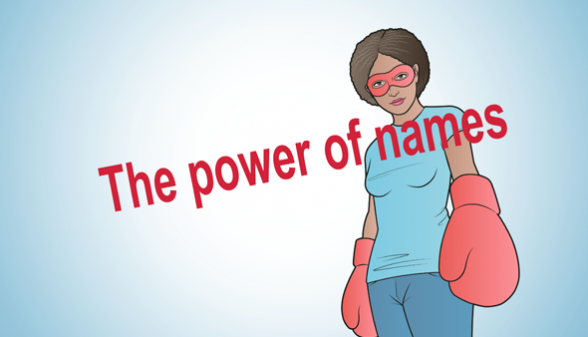 You might not have realized it, but the power of names is a very real thing.